“This is the only time in your life when you can focus on your sport and your sport alone,” his stolid words echoed through the natatorium while writing today’s workout on the whiteboard. Sounds like hell, one side of me thought. Bring it on, the other side vied. It was January 1, 2006 and we all new the fate that lie ahead. Every collegiate athlete goes though “hell-week,” or “hell-month” (or un-ending hell) in which you amp up training in both intensity and time. January was ours, and with Towson’s minimester schedule, we knew it would be a month before most of us saw the classroom again, instead to spend 5-6 hours in the weight room, pool, and on the Vasa machine (I almost forgot about those!). It was a time every year that dragged, sucked, and separated those who would stick it out into the new year or throw in the towel and not return post-Christmas break. It entailed lonely walks to the pool, a desolate campus begging for spring, or at least February, when the rest of the 18,000 students would return. It was a month of writing, “hold on” in my journals. It was passion. It was the final uphill climb until the big dance: CAAs in late February. Because all those moments, all these memories, all these things you ache for, but can never have again, catch up to you. The incredible itch to throw oneself into something challenging and being able to pursue it whole-heartedly. It’s been a year my hybrid bike was stolen, an impetus that finally imbued me to fork over hard earned cash to a sprightly woman from Craig’s List for a road bike. Now that I had this shining blue object of affection, I brought myself back into the triathlon world, discovering the life-giving exhilaration that comes from feet meeting pedals meeting road. The delight of your eyes seeing farmland and open roads at seventeen miles an hour, thanks to your labor, your sweat, and the glory of God’s creation, daring you to pick a challenge and add it to your race calendar. Come August 4, l’ll complete mine: my first half ironman in Boulder, CO. Just thinking about the water, the bike, the run, my insides swell with a sense of vitality, bringing me joy and life as I sit at my desk cramming data and meeting with patients at work, mostly antsy for 5:00 to come, when I will leave the office for the next training challenge of the evening. But it’s not the only challenge these days. I sunk into my loveseat, that felt anything but love-y at the time. Was it selfish to pursue this? I thought to myself. 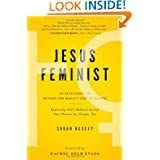 Was it selfish to not jump into the marriage-and-family packaged journey I’ve been told to pursue for the sake of some growth and these silly races? If I can’t manage the life-work-training balance now, then what will it even be like with a family? How can we live unselfishly with our time while also chasing after the big things that we don’t want to let go of? I sat there, quiet for a while, listening to the exasperation in my trusted companion’s voice, recounting the experience of life as a student-athlete. What a gift it was to have 20 hours per week dedicated to the push, the call, the challenge, unsure if you were about to cry in your goggles, or bang out the next set with gritted teeth and a beastly animalistic confidence you never knew was within you. The early mornings. The weight room. The obnoxiously-too-bright-for-six-AM pool lights hitting the still water on some early December morning. The rhythm. The soul. The ability to look straight into the clear chlorine-filled waters knowing it didn’t matter what they threw at you that day. You were going to come out on top. I wanted it back. Not all of it. But parts of it. I wanted that time and challenge, in the form of swim-bike-run, in front of me, everyday. Alas, the words of my friend were somehow right, though. My gossamer strands of the futile attempt at work-life-training balance now fraying, I longed to somehow be good enough at this to make a living out of doing it full time. It was then that I once again recalled those words from that January 1st afternoon on the pool deck, the tenacity of my 19 year old self echoing back at me to stay here, in the moment, in that very moment, in that set, because one day I would be a senior and graduate never return to these well-traveled waters of Burdick Hall. Not really knowing what we were in for, but confident it was something epic, something calling me into life each day, each member of our team sharing in on similar chapters of tight-knit story. I know we shouldn’t live in the past, and quite frankly, I don’t want to, either. But sometimes I wish we could grab pieces of it and bring them into today… resources like energy, or even the zealous feeling of innocence that comes with new experiences, and especially time. I can’t have that time to focus on sport like I could at 19. Perhaps what Coach was really trying to teach of us that day as impressionable 18, 19, early twenty-somethings was something we would never understand fully until we left. Perhaps it wasn’t about the pool that day. Maybe the pool, the workout, the capability for athletic concentration wasn’t even the point he was trying, even fervently pleading, to instill in us that day, or quite frankly, for all of our four years. Perhaps it was one more of the many transferable lessons from pool to “real-world:” Recognize the time and amazing potential you have in front of you this moment and capitalize on it. The scenes will change, from painted black lines on a pool, transfixed by the buzz of adrenaline and chlorine, to looking a partner in the eye and pledging to speak love into their life everyday. To holding something small that will one day grow and bloom, unable to fit in the cradle of your arms. To offices, or cubicles, or classrooms or hospital rooms. Even straight back to the sport I love, that’s just re-shaped itself to meet the demands of new life challenges (and the added duo of biking and running). We don’t have to give these things up, I’m learning. But know that the way they look today will never look the same way tomorrow. So take off your sleepy eyes, your rose-colored glasses, and wake up to the immense opportunity for active engagement in the world around you. It doesn’t matter who you’re with, or if you’re by yourself, panting at mile ten on the last leg of a training run. The point, after all, being authentic engagement in this moment, in whatever choice, in whatever setting you find yourself in and commit to it with vitality, not losing sight of the dreams that tug on your heart each day, the voice that wonders when we will finally eliminate the excuses and try anyway. The fortitude to accept that things won’t always be this way, but the complete understanding that we have the power to actively engage with it in such a way that as the scenes change and unfold, we never have to worry about living selfishly. Because you don’t need to give up the gusto you got from this sport, you just need flexibility enough to adapt to changing life environments. It all starts, like that January 1st practice, with the power of recognizing just what we have in front of us. Turns out there’s a lot. 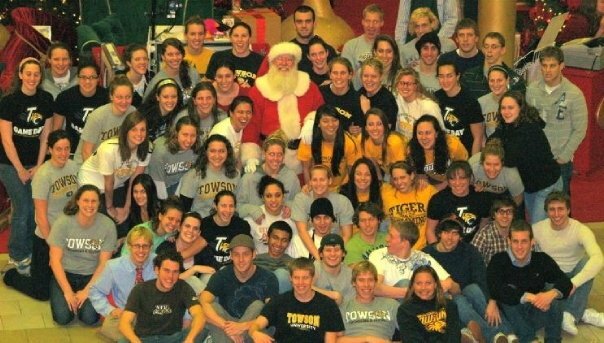 Occasionally swimming had nothing to do with water- it meant team photos with Santa on surprising December afternoons.